This rare qalamdan (pencase) features a stunning array of intricate narrative detail and is a unique example of Qajar period craftsmanship. The wooden pencase is of typical form for the Persian Qajar period (1785-1925), which is known as a time of great artistic innovation. 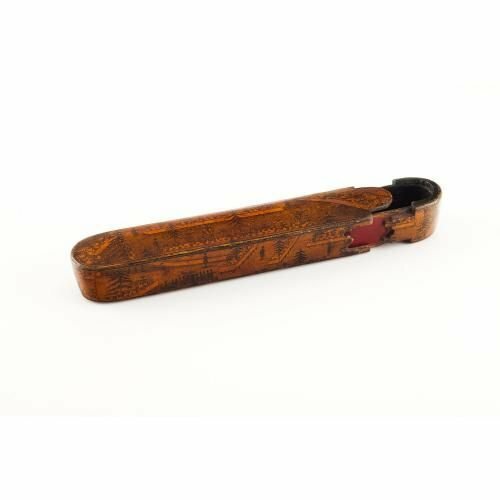 It is wooden and has rounded ends and a sliding tray which opens to reveal the interior, decorated on the exterior with lacquered depictions of figures and trees.